One thing I love to use when doing laundry is wool dryer balls. I’ve switched over to them from using dryer sheets. You just throw them in with the wet clothes, and they help dry things faster and stop wrinkles. Here’s how to easily make your own. 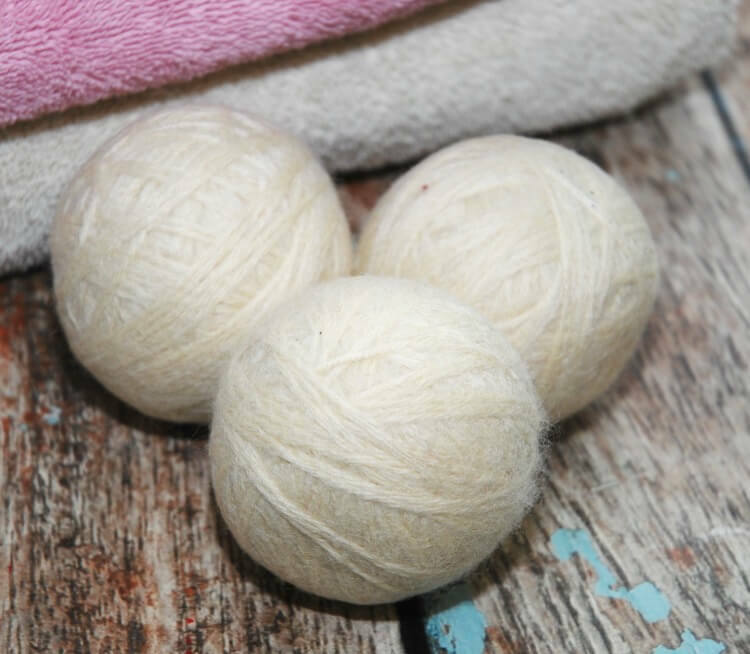 I find using 3 wool balls gets the best results in the dryer. Make sure you use 100% wool yarn. 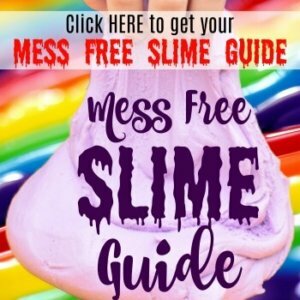 Do not get washable or super wash wool. It will not felt, which is what you need the yarn to do to form solid balls. I like to use fisherman’s wool. It comes in large 8 oz skeins. I can get 4 large balls out of one skein with a bit leftover yarn. Wrapping the balls doesn’t take much time. I’m able to wrap three balls this size in one 40 minute television episode. I start by wrapping a few strands around my fingers. 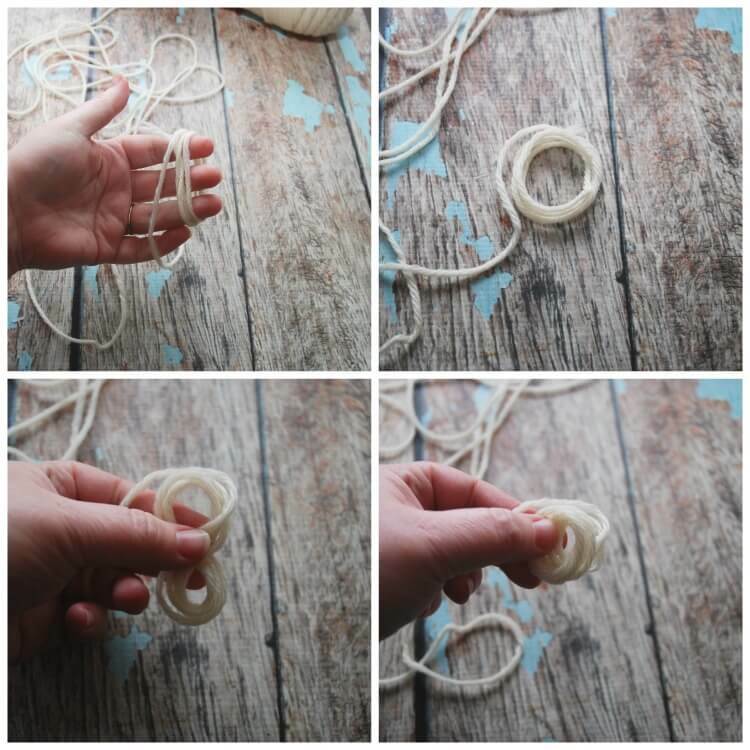 Then I pull those off and form a figure 8 and fold the loops together and keep wrapping more yarn around them. 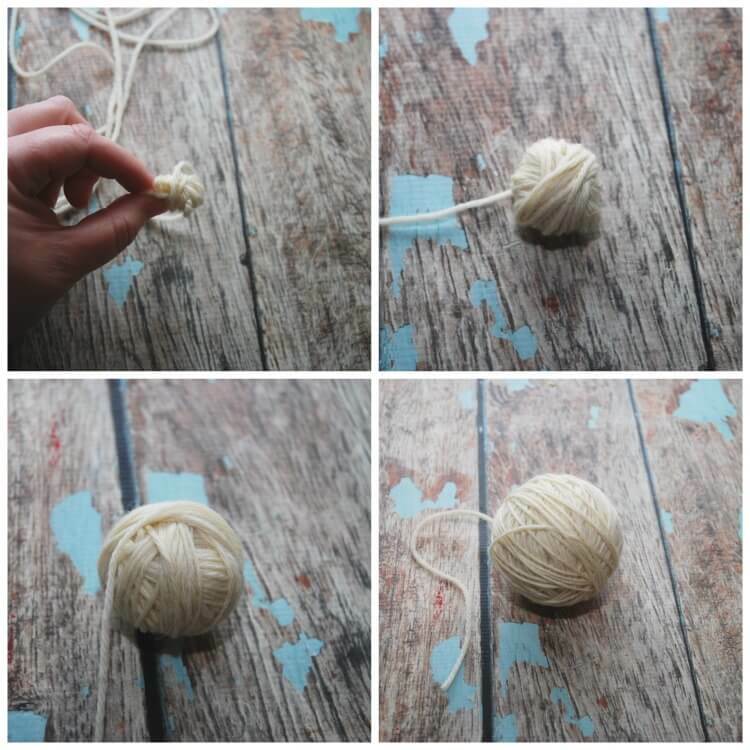 Slowly turn the ball of yarn around and around as you keep wrapping the ball so that it stays even. I keep wrapping until my balls are each about 10 inches in diameter. Once they are wrapped, tuck the yarn end I to the ball. As the balls felt in the washer and dryer, they will shrink a bit. These particular balls shrunk down to about 8 inches in diameter. 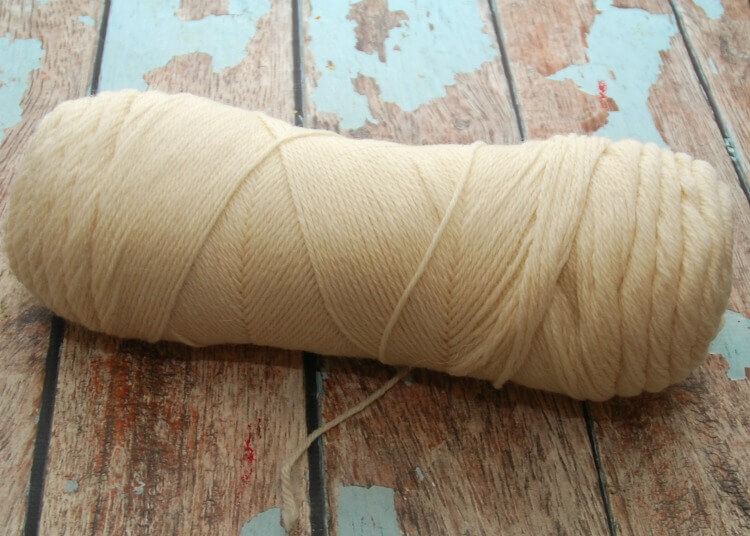 After the balls of yarn are the size you want, take an old pair of pantyhose and cut off one leg. Insert each ball into that leg. Pull the pantyhose tight as you insert a ball, and then tie a knot right above it so that the ball is tightly in the pantyhose. Do this for the other balls. Wash the balls in the hottest setting with some laundry detergent. The agitation along with the hot water and soap are what felts the balls. Do this for 2-3 washings. Throw the pantyhose with the balls into the dryer on the hottest setting. This will finish the felting of your balls. When they are thoroughly dry, remove the balls from the pantyhose. Usually I have to cut them out as the wool yarn has felted itself a bit to the pantyhose. Now you’re ready to use the dryer balls. When it’s time to dry clothes just add the balls to the dryer. They soften clothes, decrease drying time, increase fluffiness, and help remove wrinkles. They simply bounce around in the dryer separating the clothes, allowing more hot air to circulate. As they tumble, the wool balls fluff your laundry, reduce wrinkles, and basically beat the laundry to make it softer. They also pull moisture out of your clothes so you don’t have to run the dryer as long. 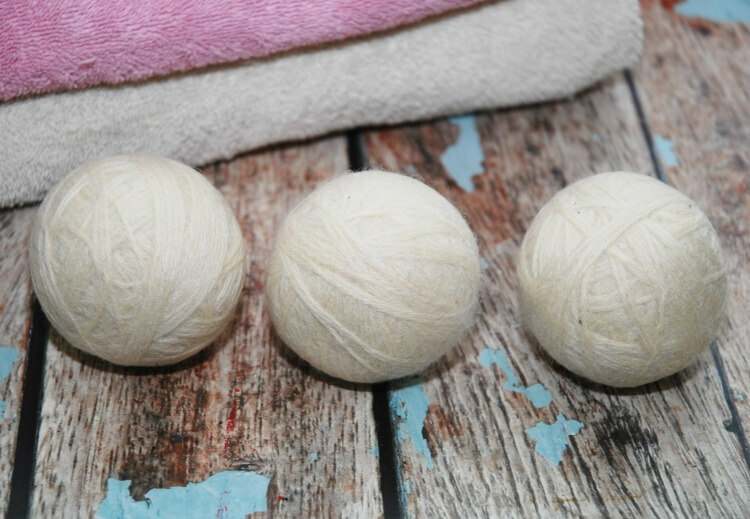 In fact, the more dryer balls you have in a load, the shorter the drying time. 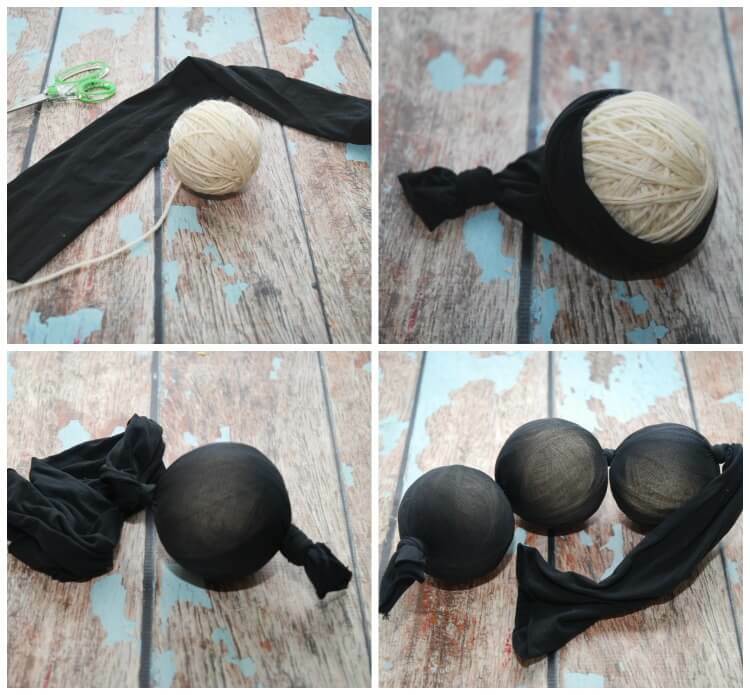 You can make wool balls as toys for your kids and animals. 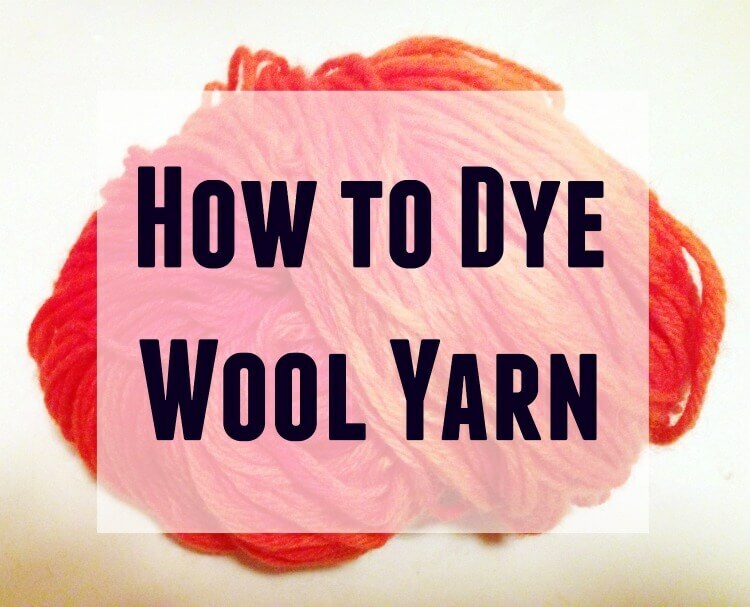 Here’s how to dye wool yarn before making the balls! I always hear people talk about how awesome dryer balls are. I love how easy these are to make. I always wanted to make my own, thanks! I’m going to make them and check out Wisk too. 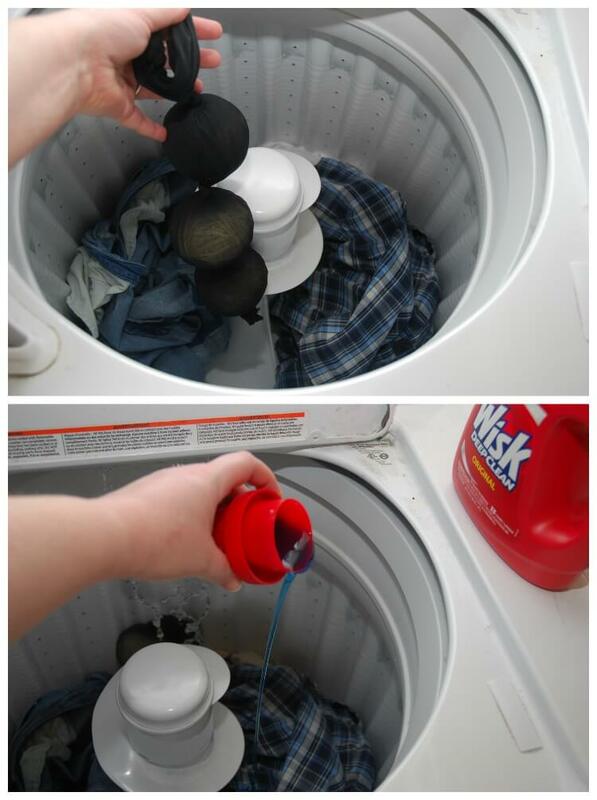 I have never thought about putting laundry balls in my clothes while washing. Thank you for the post. I am going to have to try this! I don’t think I’ve ever seen wool dryer balls before. I usually use a dryer sheet, but I’m not how much good it does, besides make my clothes smell nice. This looks like something I need to try. I love a good detergent! That’s a very good hack, to be honest, I hope I saw this post sooner! 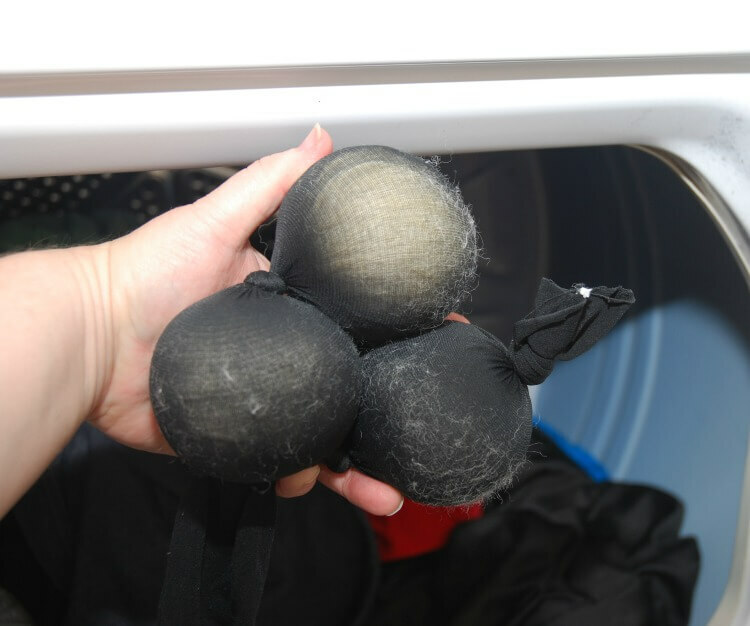 I like the idea of having the lint and all that removed as easy as just throwing these DIY balls in the dryer. So cool! Thanks for the step by step tutorial! Wow, I need to make some of those dryer balls! I’m definitely a fan of Wisk too! So do you hear the balls bouncing around in the dryer? 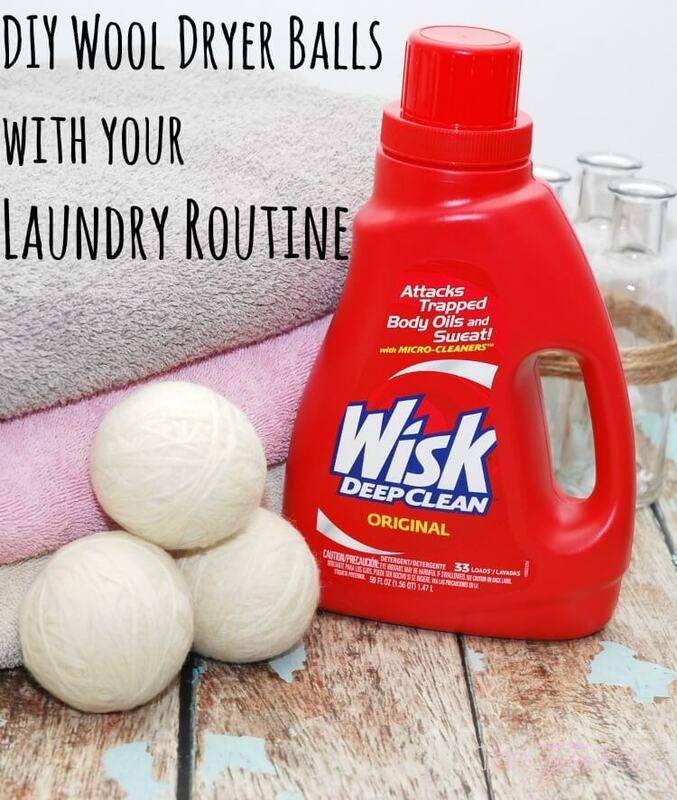 I love the idea of DIY wool dryer ball, especially the Wisk! It’s pretty cool. Thank you so much on sharing exactly how to do this (the furry, fuzzies would have been terrible) I can’t wait to run mine through the process and start using them. What a great idea…I have never heard of a wool dryer ball, but it sounds like a nice green idea for laundry! How long do they last? Do they come out damp after soaking some of the water from the clothes? They last pretty much indefinitely. There are some I’ve had for years. They come out as dry as the clothing. Wow ,I was just at this women’s show and they were selling them 3 for $25.00 ,I m glad I didn’t buy ,now I know what to make for Christmas gifts . 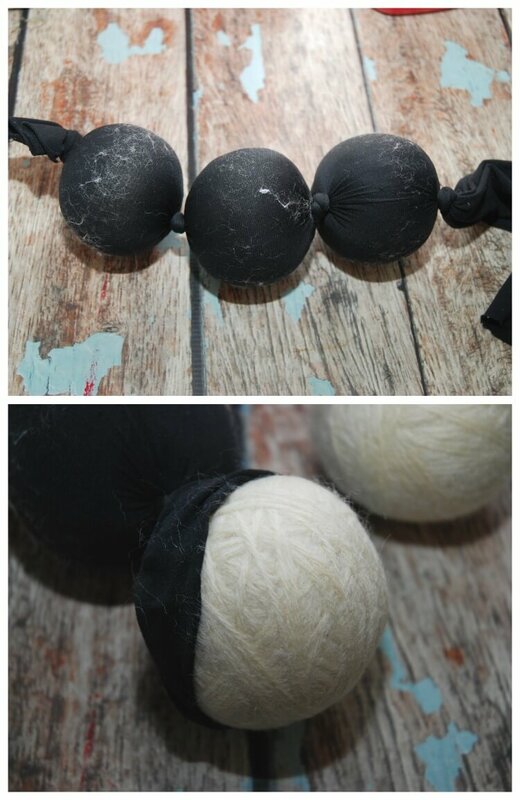 You can make about 4 balls from one skein of Fisherman’s Wool. One skein costs $10.99 at Joann’s and if you use a 40% off coupon in their app, it’s a little more than $6 for a skein.